Studio T3 is currently involved in the restoration of Fosdick Field in Buffalo, New York. For nearly 100 years, Fosdick Field was the green space in front of City Honors School originally designed by prominent landscape architect Frederick Law Olmstead. In 1977 Fosdick Street was created and a housing complex replaced the field. When the vacant housing complex was demolished in 2013, the opportunity to restore the field presented itself. “I’ve talked to neighbors who were children and wept the day they ran the street through the middle of their park,” City Honors’ principal William Kresse told The Buffalo News. There has been a lot of excitement around the project and we are proud to be a part of it. 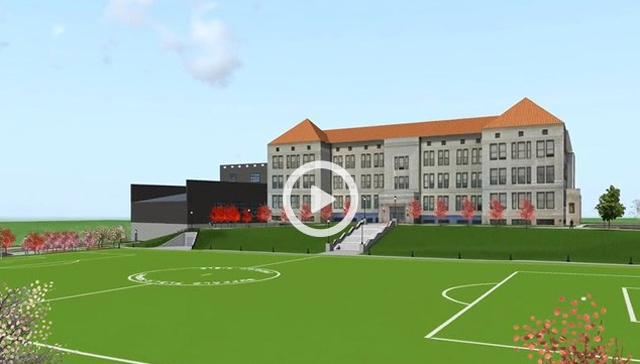 Studio T3 is providing civil engineering, landscape, and site design for the project incorporating Olmstead’s original design elements, and has created a virtual tour of the restored field and surrounding parkland allowing it to come to life in a fly-through video. This animation is an excellent example of the virtual reality visualization services Studio T3 can provide for clients.